Both external and internal door system need to suit the architectural style of your home. External doors are often thicker and more durable to withstand the elements. We both fit external and internal doors, as well new ones or reclaimed doors; wooden doors, UPVC, fibreglass, sliding patio or steel door. Mind that if you are buying a door bi itself, don’t forget to buy the hinges, handles, locks, latches and so on. An internal door is not fitted directly into the rough frame of the opening in the wall. 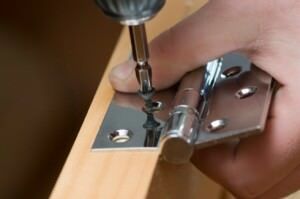 A wooden door lining is necessary to be fitted in to provide a fixing point for hinges as well as creating a “finished” internal framework to the opening. After we perfectly adjust the width and height of the door, to fit in the door frame, we attach the hinges to the door, where the number of hinges to be attached depends by the door type and weight. After the hinges are attached to the door, we then screw the hinges to the lining, then we fit the latch and handle. In certain situations, door closers are required to be attached to the doors (hydraulic or concealed door closers). 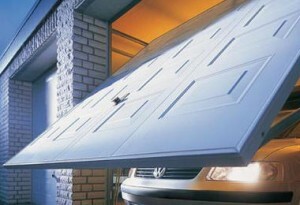 When choosing a garage door, it is important to consider the appearance, material, construction and method of operation (manual or automatic). Your decision will also depend on budget, and the structure of the garage itself, as you may need more than one door in a double garage. We have been fitted many styles and garage doors made from different materials, styles like GRP up-and-over, steel side-opening, wooden up-and-over, steel up-and-over as well, we also fit automated rectangle garage doors. WE HAVE DEVELOPED AN USEFUL AND FRIENDLY ONLINE ESTIMATING TOOL TO HELP YOU GET A PRICE BEFORE BOOKING A SITE VISIT IN Lower Sydenham , SE26.